Five Clans reigned the forest... RiverClan, SkyClan, ShadowClan, ThunderClan, and WindClan. Once able to live in harmony, trouble began to stir, and the Clans were at each other's throats. 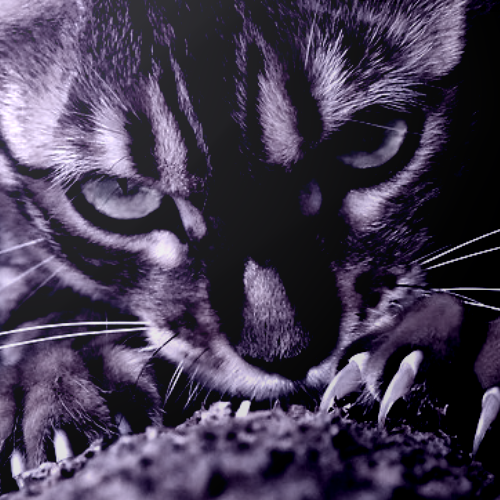 Unexpectedly, cats from every Clan were being struck down, throats slit but only the pungent smell of death and rot followed. No trace of an enemy Clan lingered on the bodies, but nonetheless, the Clan leaders accused one another of chicanery at each and every Gathering. Eventually, the air even inside the safety of a Clan camp was thick with tension. Little did they know that a greater force was lurking in the shadows. With the Clans engaged in such great discord, the Dark Forest was able to watch with great pleasure as they slowly tore themselves apart. And finally, it happened. A dry thunderstorm came about the territory of the Clans, and while most suffered from a couple of burnt trees and bushes, SkyClan had it the worst. The SkyClan cats watched in horror as their camp burned, their territory turning to ashes. It was then that the Clans realized that they could be no more. They all thought that StarClan was angry with them. If SkyClan was to disintegrate in such a manner, what about the next? What would become of them? And so the Clans crumbled. They fell, one after another, until the Dark Forest had gotten their way. The Clans were gone. The cats looming in the Place of No Stars had finally taken their revenge. Years went by. Soon, the Clans were just a memory on the tongue of old loners and rogues, stories used to spook kits and kittypets. StarClan watched from the stars after all this time, their hearts sinking that the ways of the Clans, their methods, their traditions, their culture, was nothing more than mere story. They realized that they had to do something. They watched the rogues and loners closely, searching their pasts and bloodlines, until they found who they were looking for. Mallow, a dilute calico she-cat with eyes the color of the late morning sky, quiet and calculating. She was intelligent, quick-thinking, and her RiverClan ancestry showed it. She would be the first leader of New RiverClan. Badger, a tuxedo she-cat with a heavy green gaze, a user of brute force and strict negotiation. The memory and relations of ShadowClan heavy on her tongue, she would be the first leader of New ShadowClan. Cardinal, a fiery red tom, egotistical but embracing anything that came him way. His blood showed only that of pure ThunderClan descendants, and his charm had given him many allies. He would be the first leader of New ThunderClan. And lastly, Ebony, a lithe black she-cat with brilliant green eyes whose heart belonged to the moor and only the moor. She was witty and childlike, longing only for joy to those around her. She showed the true spirit of a WindClan warrior, born and bred. She would become the first leader of New WindClan. StarClan argued for moons over whether or not they should look for descendants of SkyClan. It was decided that it would be too dangerous for the rest of the new Clans, that the Dark Forest had taken them out first for a reason, that their old territory was still burnt and decaying from all those seasons ago and should remain untouched for fear of awakening Dark Forest warriors. So they left SkyClan to the dust, and reached out to these four cats, encouraging them to bring back the traditions and ways of the Clan. Mallowstar, Badgerstar, Cardinalstar, and Ebonystar established the four Clans to their former glory, slowly but surely, and with the help of StarClan, reintroduced the traditions, the culture, the respect. The four Clans live on today, but StarClan is beginning to become uneasy again. They can tell that something else is going on where they do not have eyes to see. They can only enlist their hearts in the Clans and pray that, when trouble rains down upon them once more, they will stay faithful, and fight for what they've worked so hard to restore.